Now, thanks to this map put out by the Bank of America Merrill Lynch , you can find out. 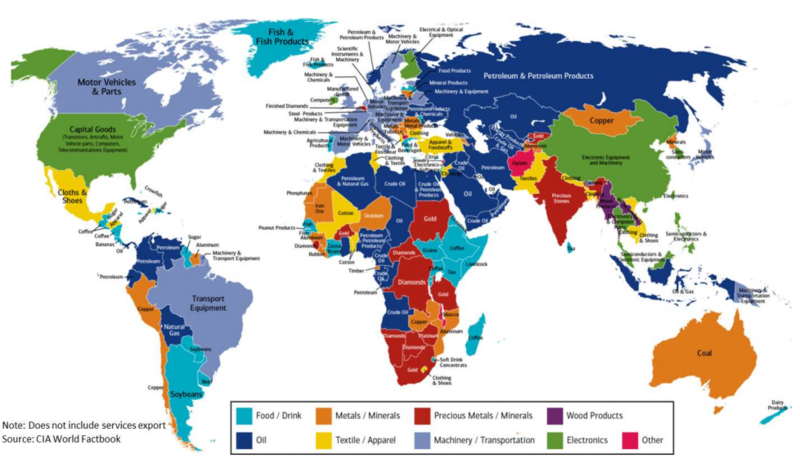 The map does not include the export of services, but highlights some interesting insights and global trends. Have you read? The E15 Initiative: Strengthening the Global Trade and Investment System in the 21st Century Which economies export the most?